November 12, 2013 09:01 ET | Source: Diversified Techonologies, Inc.
PowerMod™ High Voltage Pulse Modulators are all solid-state, air insulated and water cooled, making them ideal for pilot scale process development and evaluation, especially in smaller applications. BEDFORD, MA--(Marketwired - Nov 12, 2013) - Diversified Technologies, Inc. has introduced a compact, high voltage pulse modulator that can be configured for a wide range of current and voltage and provides full repeatability with low droop. 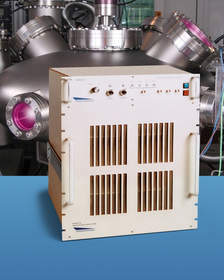 Applications include the generation of vacuum and atmospheric plasmas, semiconductor production, surface sterilization, R/D, and materials modification. Providing rise times as low as 15 ns, PowerMod™ High Voltage Pulse Modulators deliver up to 99% efficiency and offer full internal self protection against over-voltage and over-current conditions. They operate on 110 VAC and are 19" rack mountable. Diversified Technologies, Inc. is the developer and marketer of the PowerMod™ line of high voltage, high power pulse modulators, DC power supplies, and control systems. The firm's products are used worldwide in high power applications such as radar, high energy physics, defense, and food processing. Selected twice by R&D Magazine as one of the 100 most significant products of the year, PowerMod™ systems are available in a wide range of voltage, current, and performance configurations.